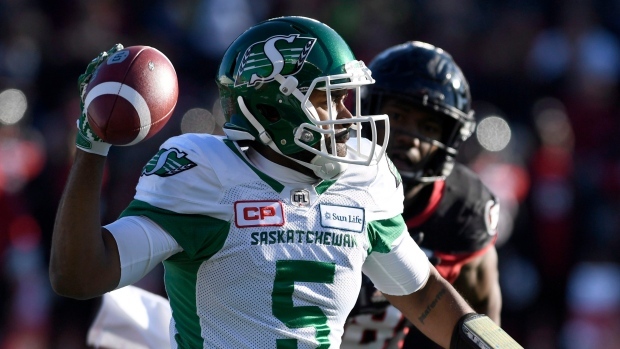 One day after adding quarterback Zach Collaros to their roster, the Saskatchewan Roughriders have cut veteran pivot Kevin Glenn. Glenn, 38, appeared in 17 games with the Roughriders last season, at times splitting reps with Canadian Brandon Bridge. He completed 318 of 468 attempts for 4,038 yards with 25 touchdowns and 14 interceptions. The Roughriders acquired Collaros on Wednesday from the Hamilton Tiger-Cats in exchange for the 10th overall pick in this year's CFL Draft. The decision to release Glenn ends the Detroit native's third stint with the team. He began his CFL career with Saskatchewan in 2001 and was with the team through the 2003. He returned to the Riders in 2015 for one season and signed once again with the team last year. Glenn has appeared in 268 games over his CFL career, owning 52,867 passing yards with 294 touchdowns to 207 interceptions.